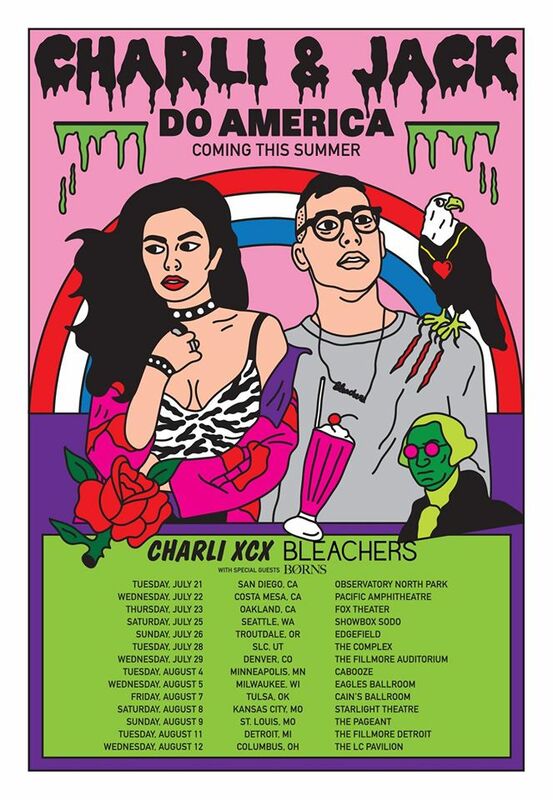 Charli XCX and Bleachers are set to embark on a co-headlining tour next month, fittingly titled Charli and Jack Do America. The 27-date trek will find the sassy U.K. pop princess and the celebrated indie band sharing their good vibes across the country, and hopefully the two acts sharing some stage time if we&apos;re lucky enough. Before they hit the road together, we caught up with Charli XCX and Bleachers frontman Jack Antonoff at Sweetlife Festival to find out about their favorite album of 2015 so far, what they have in terms of a possible collaboration, and also got their thoughts on surprise album releases. So you guys are going on tour this summer. What can fans expect from that? Jack: I think what’s cool about about going on a co-headline tour is everyone’s bringing a huge show, so it’s not like opening band, opening band, then here’s the big show. It’s like two big shows. Charli: It’s two for the price of one. Can fans expect to see you two on stage together? Maybe Charli goes into “Drop That Kitty,” and then we can see Jack drop it low? Jack: I like that song a lot. I love Tinashe. You and her together are cool. Charli: I love Tinashe. I don’t know if “Drop That Kitty” will be featured, but maybe we’ll be on stage together at some point, who knows. You two took part in the "In-Ride Sessions" and covered each other’s songs. Could we see a collaboration between Charli and Bleachers in the future? Charli: Maybe. We went in the studio together, we did a cool song, but we haven’t really finished. Jack: That song’s cool. Do you write on tour? Charli: No. Actually, that’s a lie. I went to the studio yesterday and did a full-on session. I’m just not good about working on a tour bus. Jack: I usually set up a little studio backstage. Charli: That’s nice. So if I like his setup, then maybe. We’re at the halfway point of 2015. Do you guys have a favorite album of the year? Jack: I love the Kendrick album. It’s very intense to listen to. Have you heard, Charli? Charli: No, I haven’t listened to it yet, but I want to. Jack: It’s extremely intense. It’s beautiful. Charli: Did the Future Brown album come out this year? I really liked that album a lot. 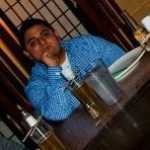 I really liked the Drake album. Speaking of Drake, what do you think about surprise releases, which seem to be the norm now? Charli: If you have a big enough fan base where your record is going to have an impact, then I think that’s great because the nature of consuming music now is so instant. I think fans get bored of the pre-roll. I also think they don’t care about the pre-roll, they just want the album, so I think it’s a good thing, personally. When the tour is finished, are there any plans to start working on your next projects? Jack: I started last month, but I don’t make records in the studio. I do sometimes, but I’m just constantly working on things. It’s been moving. So you haven’t really jumped into it yet. Jack: I’m pretty jumped into it, but I don’t love saying that because then people expect it to come out. You don’t know when it’s going to be done, but it’s important to be in that space. Charli: Same, I’m fully in making the next record. Again, there’s no definite end date, but I’m very much in the headspace of the next album. Charli: I‘ve been working with SOPHIE, this U.K. artist and producer who is a part of that PC Music group. Also Stargate. I really want to work with Chris Martin. I think he’s a genius.